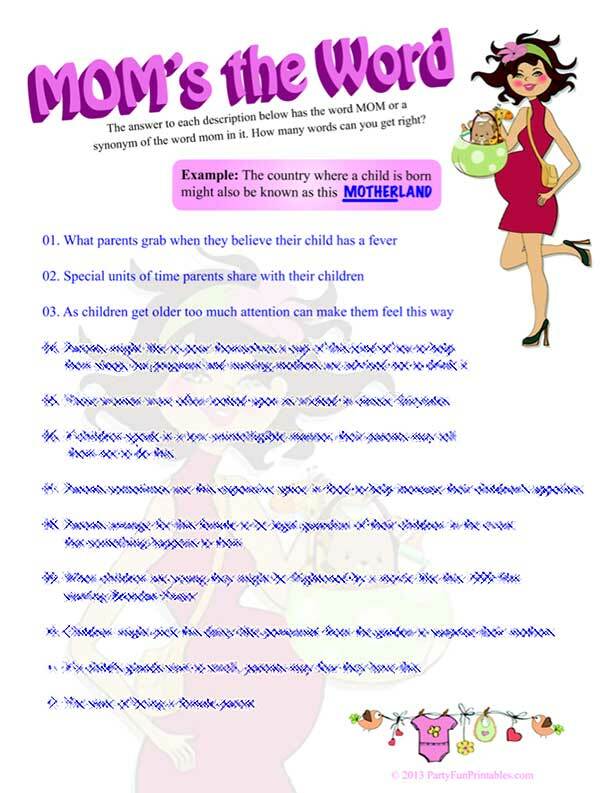 The answer to each description in this Mom Trivia Game has the word MOM or synonym in it. How many words can you get right? is also known as this. How it's played: Hand out the game to each player (or group of players if you have a big party to host) and let them come up with the answer for each of the descriptions of the game. Preparations are easy: Print out enough sheets to hand out at the shower. Add to the fun by buying small prizes for the winner.